WASHINGTON, DC, January 17, 2012 (ENS) – As many as 6.7 million bats have now died from white-nose syndrome, biologists from across the United States and Canada believe. The new mortality estimate was agreed upon by more than 140 tribal, state and federal biologists and bat researchers who gathered last week at the Northeast Bat Working Group’s annual meeting in Carlisle, Pennsylvania, in one of the states hit hardest by the bat die-off. “This startling new information illustrates the severity of the threat that white-nose syndrome poses for bats, as well as the scope of the problem facing our nation,” said U.S. Fish and Wildlife Service Director Dan Ashe. The outbreak is the worst wildlife disease epidemic in North America’s history and it has environmentalists concerned that extinction is ahead for several species of the flying mammals. 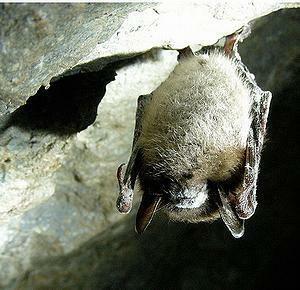 “This number confirms what people working on white-nose syndrome have known for a long time – that bats are dying in frighteningly huge numbers and several species are hurtling toward the black hole of extinction,” said Mollie Matteson with the Center for Biological Diversity, which has filed several petitions to save bats and stem the spread of the disease.